The network of sites that International Interactive Ventures has produced serves one purpose: to channel players to a site that fulfills their needs. Our pages provide information to players based on different demographics and search queries resulting in the narrowing down of choices, and finally the ability to easily choose a suitable site. 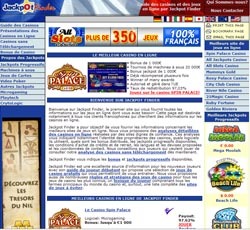 Blackjackchamp.com offers casino, software, and game reviews focusing mainly on blackjack. 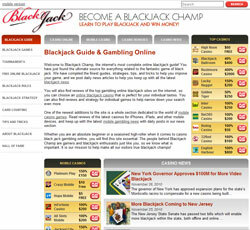 The site features blackjack guides and strategies, daily news posts, online tournament listings and more. The site structure creates numerous avenues that lead to the same links, providing excellent coverage of all sites. 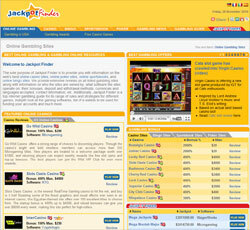 If a player has a question or curiosity regarding blackjack, this site has all the answers. A news site featuring a variety of gaming industry related news from different sources to form a complete up to date overview of the industry. 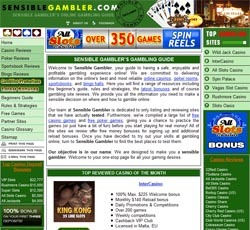 A sister site of JackpotFinder.com, this site offers comprehensive reviews of online casinos and bingo sites with a secondary focus on progressive jackpot games. 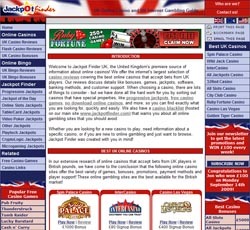 While this site does not provide nearly as much fixed content as JackpotFinder.com, its strong targeting of a specific regional market makes it one of the most used online gaming reference portals in Germany. A sister site of JackpotFinder.com, this site offers comprehensive reviews of online casinos and bingo sites with a secondary focus on progressive jackpot games. 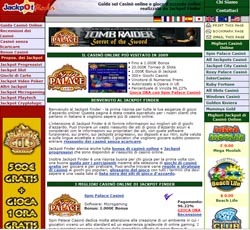 While this site does not provide nearly as much fixed content as JackpotFinder.com, its strong targeting of a specific regional market makes it one of the most used online gaming reference portals in Italy. 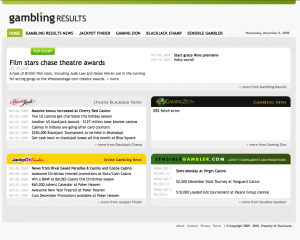 This site offers general reviews of online casinos, sportsbooks, poker sites and bingo sites, with a focus on safety and security. The tone is intelligent and advisory, and reviews are written from a personal, first-person point of view. A unique Promotions Calendar offers up to date information on the latest bonuses and promotions running at reviewed gambling sites. All articles and updates get right to the point, and relay the information needed quickly.